Home Off Beat	Joe is geeky and his tattoo too! Joe Tech is a geeky nerd who loves computers. He has got a very unique geeky tattoo on his back. A barcode tattoo with FireWire logo followed by two FireWire ports. Bar code tattoos being run of the mill, made Joe think innovatively and add other cool geeky features to his tat. 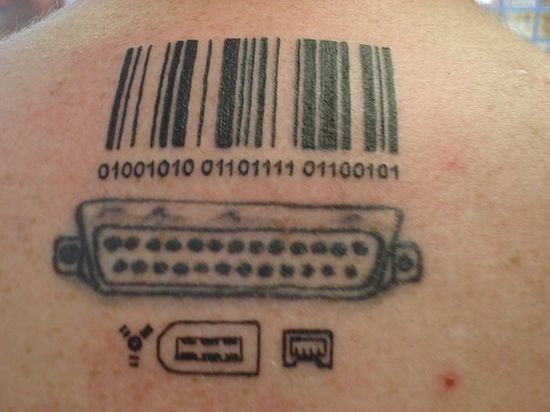 To make his tattoo unique, he got online bar code image generator that could generate Code 128 barcode and added the parallel port too. Surely, geeky goodies out there would love this tat.